They are so cute! <3 I'm the same way with the tricks, my imagination sometimes fails us! We are also working on duration for some of the girls tricks. The biggest one right now is sit pretty. I'm trying to build duration and distance with that one so I can get better photos! LOL! I'm also working on fading the hand signal. It's so hard to get photos without distance and hand signals! I'm having the same issues, but Ruby did great for the "shy" video, and her sit pretty is getting better and better. They are so cute, and it really sounds like you are having a lot of fun. I'm going to have to save your list of tricks to figure out what we'll do with Luke next. I'll also have to look for those treats, I hadn't seen those yet and I know it's something Luke would love. The salmon ones seem particularly good for training because they're in little pieces (although it's easy to break up the other varieties, too). Can't wait to see what you and Luke will do next! So cute! 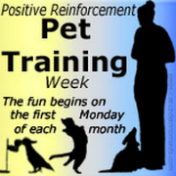 Training tricks is such a fun bonding/ building self-confidence exercise! 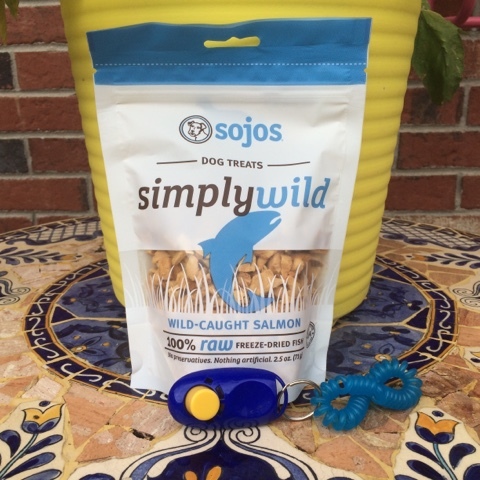 My critters love the Sojos Simply Turkey..... cant wait to try the Wild version! The Ginger Sisters also like the Simply Turkey, and the little mini biscuits in Peanut Butter & Jelly. It's funny how ears work that way, isn't it? Oh, Ruby. So so cute! How in the world do you train for that? That's so adorable! Blueberry does this one thing where she drops her head down and plants her nose firmly on a surface (I'm always worried she'll smother herself if she stays that way too long). I haven't yet thought of a good enough name for it or a way to train her to do that on command. I'd almost hate to lose the spontaneousness of it. Or maybe that's my cop out because I am not a very good trainer. I know the basics - but I stink at trying to shape a behavior. One time, I was trying to teach B how to put her paw on a lid to get her used to "touch" and I ended up with a bloody scratch on my leg because she got a little too excited over the treats. It's kind of a long story...we started using a Post-It stuck to her nose as my trick training book suggested (the idea is that they'll paw it off and you'll catch the pawing), but she hated that and started avoiding me reaching for her face so I had to table it for a while. Then I decided to try again and I started clicking/treating just touching her nose or neck to desensitize her to the sticky note. I was quickly able to phase out the sticky and she started swiping her face when I touched her neck! Now if we work on it she will start offering it non-stop, it's become one of her favorites. I need to work on getting her to hold it because right now she just ducks down and then peeks, which is pretty darn endearing I have to admit. Boca is like Blueberry - she is too excited about food and just starts leaping and waving her paws around madly. I admit I encourage the mad paw waving by laughing. I can't help it though - it's so funny how out of control she is. I taught her "take a nap" and we've been doing it long enough now (about a year) that she finally responds appropriately when I tell her to stay in that position. Ruby reminds me of the high energy foster I had - so fast to learn and very focused. She was a breeze to train! I call that trick, "are you ashamed." I used the post-it trick but Mr. N thought I wanted him to sit with it on and just sat there. Those Sojos treats look good, I think Mr. N has had the lamb ones before. I'm very excited for Fall. There's going to be a lot of fun indoor activities to do with Bain, and I do need to stock up on some new treats now. I should try out the Sojo's with him. It'd be neat to teach Boca couch slouchin' as a trick! 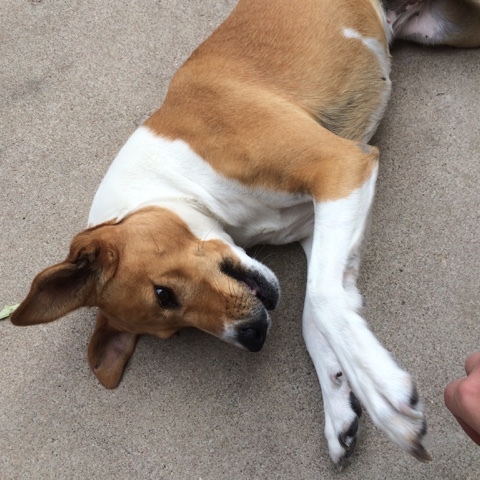 Maybe you should capture and name Boca's mad bouncing and paw waving! I bet she'd like that! More seriously, one of the things that I did to get Nala less reliant on luring (fortunately, since she hates it) was use a target instead of a lure. 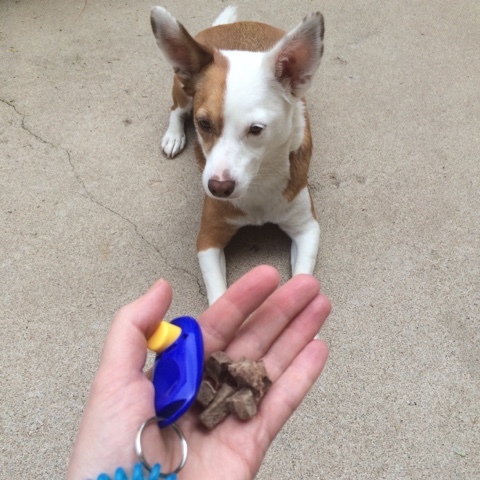 That helped her learn to think a little more clearly in the presence of treats. I also do a little bit of Zen/It's Yer Choice hand whenever she gets too focused on mugging the food to remind her that that's not the thing we're thinking about right now! And I throw treats so that she realizes that she can be reinforced even if she is not right up next to the food (although that may be too exciting for Boca). Brychwyn recently started offering a "sit pretty" and I am so proud. We have been working on it literally forever but I just thought he would never do it. This is that thing about training making our dogs smarter that us! He also offers it only for the right treats. 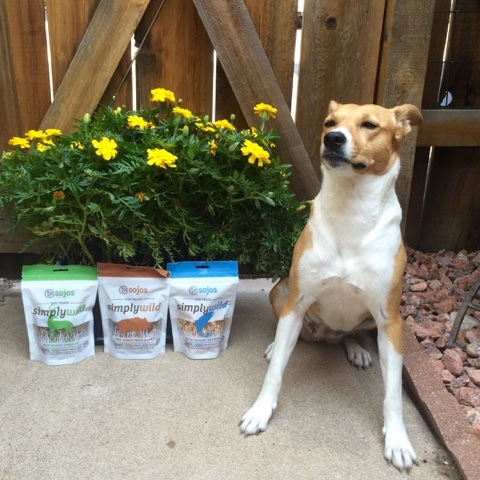 Three dogs with different tastes, ugh, is finding the right training treats hard. I'll have to look for these Sojo's ones. I just love how the same thing won't always work for two dogs. Mauja and Atka are extremely different when it comes to training techniques as well. It makes it all the more challenging, and ultimately, bonding.